It is me, or has this entire month blown past us? I feel like I’ve spent the last few weeks hopping from one event or holiday party to the next. It’s been fun, but also means that I haven’t spent any quality time in my kitchen experimenting. Miss you immersion blender, mwah. Instead, I’ve been eating out…a lot! 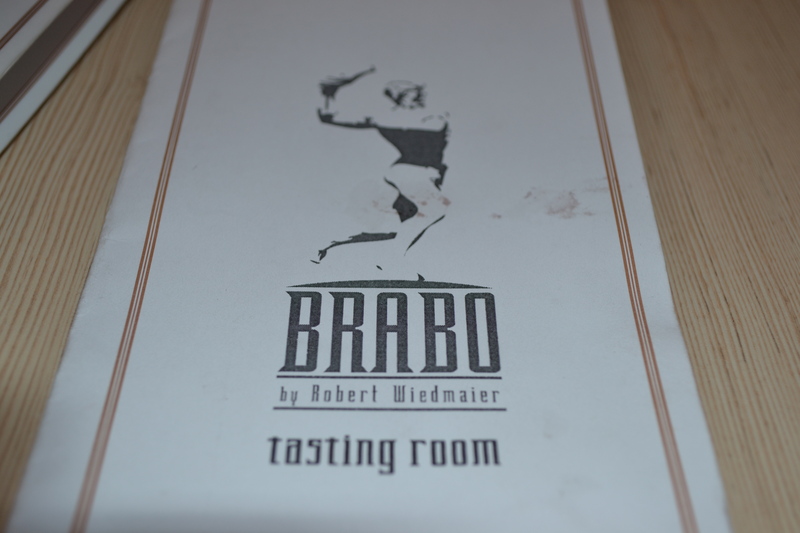 One of my new favorite places is the Brabo Tasting Room in Old Town, Alexandria. Robert Wiedmaier’s Tasting Room is cozy, casual, and as charming as all of the lights in Old Town. I’m not usually a fan of walk-in seating only, but somehow it’s different when you feel like your walking into a friend’s living room. All of the dishes at the Tasting Room are really fresh and very reasonably priced. My friend and I decided we could try more things on the menu if we split a bunch of dishes. A girl after my own heart! We each started with a bubbling bowl of the Five Onion Soup. 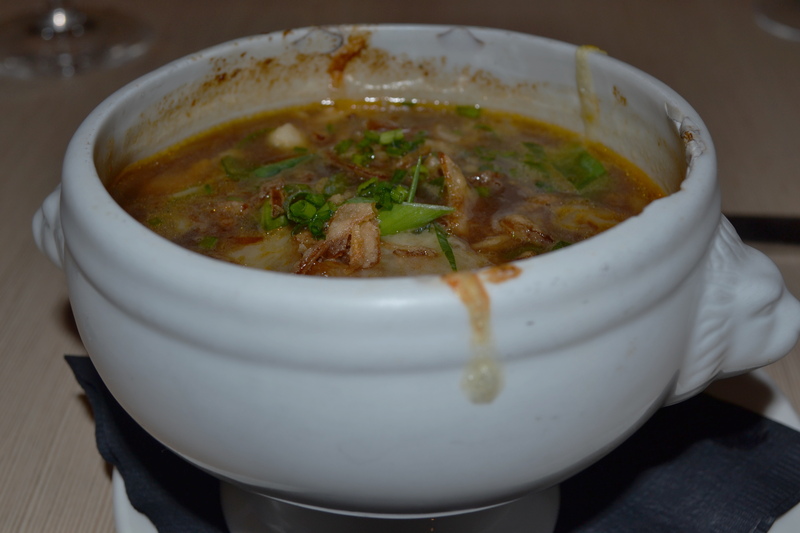 The inviting soup had bold beefy flavor and included cooked onions and fried onions for texture. I loved the buttery Gruyère cheese and crisp croutons. Way to start the meal on the right note! Next up was the bright Roasted Butternut Squash Wood Fired Tart. 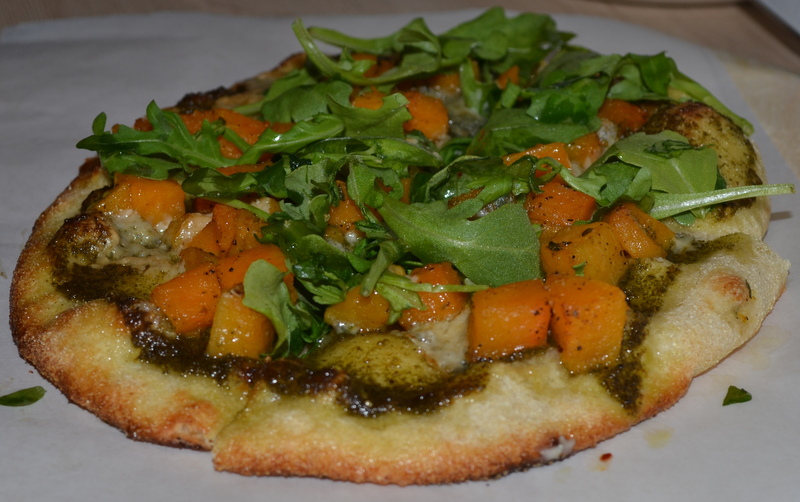 This was basically a flatbread that featured seasonal roasted squash, blue cheese, bacon, arugula and sage pesto. All of the flavors worked beautifully together and I loved the idea of using the sage to make a fallish pesto. If you’ve ever been to another one of Robert Wiedmaier’s restaurants like Marcels or Brasserie Beck, you know I had no choice but to order the mussels for our third course. 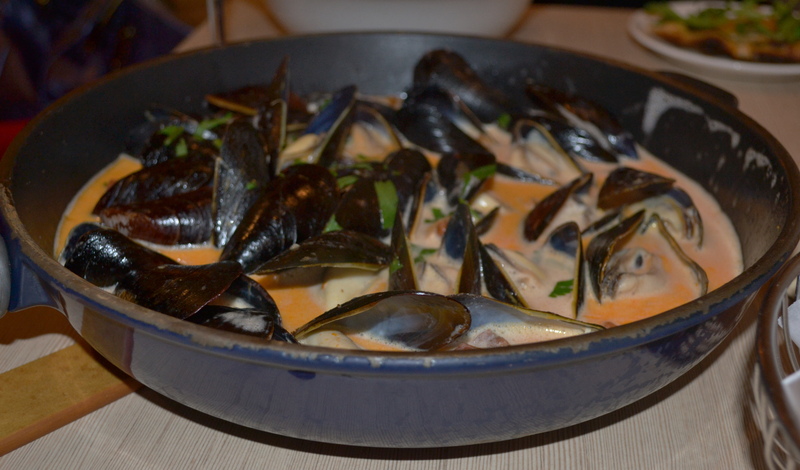 We selected the Chorizo and Fennel Mussels, and as usual, these did not disappoint. They were cooked perfectly and I had to request extra bread to dip in the tasty broth. I shouldn’t have had any room for dessert. Frankly, I almost didn’t, but then our waiter mentioned their seasonal Pumpkin and Chocolate Cheesecake. That smart man forced my hand! I just wasn’t in a position to say no after he described it. The cheesecake was light and airy. 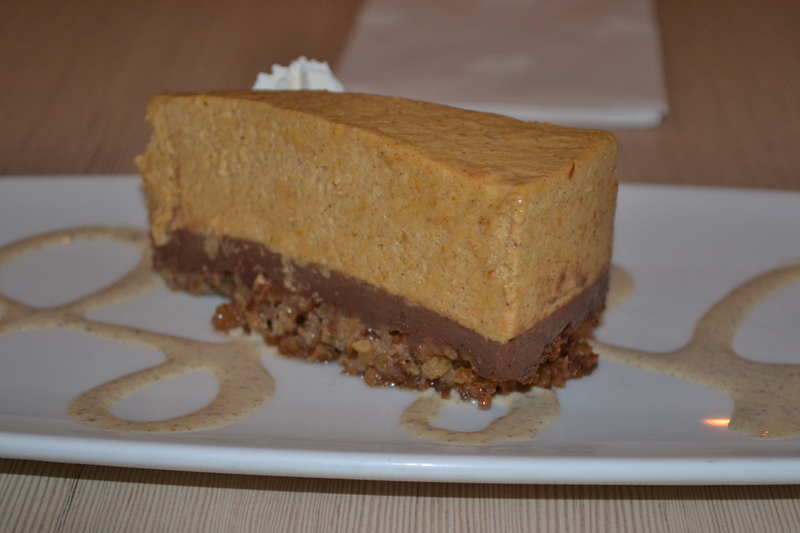 I loved the chewy nut crust and of course the winning combo of pumpkin and chocolate. My overall rating is an A for the Brabo Tasting Room. I recommend you add this to your list of restaurants to try in 2012. Oh and let me know if you need a dining companion to join you. Happy to split a few dishes :).